The BMW 2002tii and the 02 Series is often credited with laying the foundations for the revival of the Bavarian automotive manufacturers fortunes. Looking back over the companies history, expensive models such as the BMW 502 and the stunning 507 V8 roadster, almost bankrupted the German firm at end of 1959. Other factors such as the Cold War contributed to BMW’s increasing precarious position and this lead the firm to develop a compact and more cost effective saloon platform. With bankruptcy avoided, BMW pushed ahead in 1963 with designs for a sporty two door sedan, dubbed the 02 Series. It was launched in 1966 and stayed in production until 1977, when it was replaced by the hugely successful BMW 3 Series. The affordable BMW 1600 opened up a new market for the company. The 02 Series went through numerous revisions through out its lifespan with the mechanically fuel injected BMW 2002tii arriving in 1971. The car I got to drive was a third generation 2002 and was built in 1975, one year before production ended in 1976. The BMW 2002tii lined up with some of the other cars at Classics Central Auctions October 2016 sale. 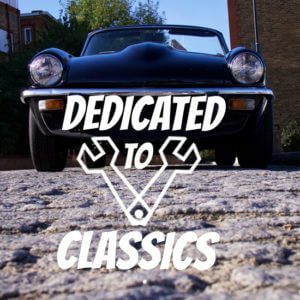 When I arrived at Classics Central Auctions on that crisp Saturday morning back in October, I had no idea I was going to get the keys to a BMW 2002tii. It was a late entry to the auction and as a result it didn’t make it into the catalogue. So it was a nice surprise when I spotted it in the line up outside the old aircraft hanger. As a 2 door sedan, the 02 Series is very compact. For me the BMW 2002 is a cool car. I do use that word a lot sometimes but its a car that just exudes “cool”. It is also a bit retro which has seen prices rise across the board for 02 Series cars. I think it is the mix of solid German engineering with a design that is very handsome. The soft curves and lines make it much more attractive than an equivalent Fiat 3 box design, the round headlamps and the famous kidney grill giving it a very distinctive face. The chrome strip on the bonnet edge flows all around the car, a simple yet effective decorative piece that enhances its looks. The two door sedan shape really does give it a sporting look and the addition of the factory alloys set it off very nicely. It’s a nicely styled car with the round headlamps and chrome trim giving it that retro look. As I inspected the car I started to notice some rust around the rear arches, along the sills and one one of the doors. These are all common rust prone areas on a 2002 and bearing that in mind, I fired up and compact saloon and took it for a spin. The dash was in very good condition as was the steering wheel. It all looked very original. My first impressions of the BMW 2002tii were very good. The cabin was very spacious indeed, the large windscreen and thin pillars made it feel bright an airy. The interior was in good condition and appeared to be original and unmolested. It needed some detailing but that’s the sort of job you can tackle yourself on a weekend. The 2ltr four cylinder engine felt sprightly and moved the car along well. There was an occasional crunch from second gear which suggested some synchro wear, but apart from the that, the four speed gear box felt good. The seats had minimal wear and were comfortable. The dashboard in the 2002 is dominated by the rather large steering wheel which is a necessity really. There was no power steering fitted so the wheel did require some effort to turn. I can imagine it would require a bit of muscle squeezing into a parking space on a busy city street, but on the open road it was perfectly manageable. The back seats needed a clean but again it all looked original. Moving back to the gearbox I did feel as I drove along that the engine really needed a 5th gear. The only options at the time were a 3 speed automatic or a 4 speed manual. And as the revs built, the engine started to sound a little intrusive. So another gear or even overdrive would have improved the cars over all refinement. It wasn’t enough to make me hate the car but it is something to bear in mind if you plan on driving one of these with a heavy right foot. The engine was nice and tidy. Not overly detailed but clean. Despite the lack of refinement in the engine compact, it felt good to drive and while I’m sure some of the 135 horses had escaped since it left the factory, the little saloon pulled well through the gears. I could see how strapping a big turbo on to it would transform its performance from acceptable to scary. As I mentioned in the film the temptation is there for some to turn this one into a 2002 Turbo replica. Because of its originality, its something I would not do personally. At the end of the day we all like our cars differently. But I wouldn’t say no to tweaking the suspension. While it handled fine, the car does feel like it sits about an inch or two too high. I did say in the film it felt a “tall car”. Maybe the seating position contributed a little to that feeling as well. But I think a bit of work on the suspension and brakes would transform this little saloon and really give it the sports performance its looks suggest. A bit of “stance” can work wonders! The saloon that laid the foundations for the 3 Series. So overall, pretty much everything I have said confirms my initial thoughts about this BMW 2002tii. Its a solid driver that you could easily use on a daily basis. Its not always easy to find a project classic car that you can actually drive and improve over time. Most are in bits or have no Mot so have to be trailered away. This one had an MOT and drove very well for a car of its age. And that is essentially what I liked about this car. Yes it had rust which needed attention and being a classic, its bound to hold a few surprises. But its a BMW 2002tii. Its cool, retro, practical and a lot of fun. And right now, they are a hot ticket in the classic car market. Which is why this one sold for an impressive £8,736 inc VAT and premium, comfortably beating its estimate of between £5,000 – £6,000. The seller did very well indeed and the buyer got themselves a very stylish and practical two door saloon. We hope they enjoy it as much as I did. It was nice to see the original radio still fitted. The 2002 has a nice side profile. The round headlamps give it so much character. As does the chrome trim. 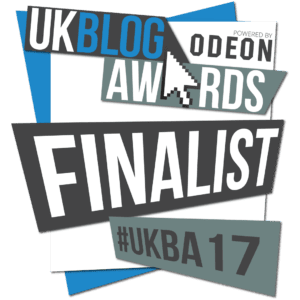 ← Take to the Road are in the 2017 UK Blog Awards Final!